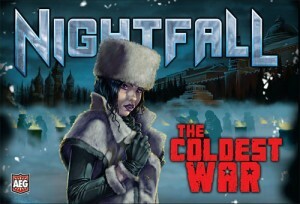 Nightfall: The Coldest War is the latest (standalone) expansion to Nightfall, the deck-building game from AEG. We absolutely loved Nightfall, so we were excited to try this latest addition. The Coldest War not only adds new archive card options, but includes new wounds, starter cards, and a whole new aspect to the game with the moon deck. For those of you who are not familiar with Nightfall I will give a brief rundown of the basics of the game itself (though I recommend starting with our review of the core Nightfall game if you are not already familiar with Nightfall) and then I will get into the specifics of this expansion. Powered by WordPress v 5.1.1. Page in 0.958 seconds.